Indonesia is a rich archipelago with an abundance of natural resources. At the same time, the country is the world’s sixth-largest emitter of greenhouse gases, mainly due conversion of its forestsand carbon-rich peat lands to agricultural fields. These shifts in land use also have ecological and social consequences. Indonesia’s rainforests—the world’s third largest—are home to more than 3,000 known species of animals, and 29,000 species of plants, and the livelihoods of 50-60 million people depend directly on these ecosystems. 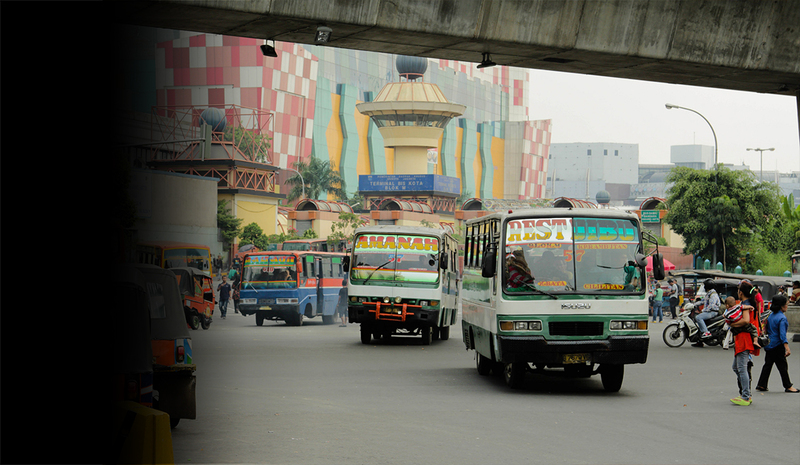 The Indonesian government has made encouraging commitments in recent years. In its Intended Nationally Determined Contributions, Indonesia commits to unconditionally reduce its emissions by almost a third (29 percent) against 2030 business-as-usual (BAU) scenario or more (41 percent) provided that international assistance is available. The Indonesia’s President Joko Widodo has also extended Presidential Instruction No.6/2013 on the moratorium on the issuance of new conversion permits for primary forest and peatlands as well as preparing a moratorium on the issuance of new permits for oil palm plantations and mining operations. However, the country still faces challenges in becoming energy- and food-secure while also protecting forests. WRI Indonesia works with leaders in government, business and civil society to protect Indonesia’s environment while maintaining its economic potential. We aim to help reform the country’s massive forestry and agriculture sectors. We provide data-driven analysis to support government, business, and civil society actions for effective and equitable land-use in Indonesia. We build web tools like our Global Forest Watch platform, which can help industries sustainably produce commodities like palm oil and wood pulp sustainably, allowing the country to increase agricultural production without further contributing to deforestation. And we promote transparency and good governance as an inherent value that can support sustainable development. Inspiring, enabling and mobilizing action to restore vitality to degraded landscapes and forests around the globe. Standards and tools for companies and organizations to manage their GHG emissions and become more efficient, resilient, and prosperous. Bringing together some of the world’s foremost economic experts to contribute to the global debate about climate change and economic policy, and to inform government, business and investment decisions. Raising awareness of threats to coral reefs and providing information and tools to manage coastal habitats more effectively. Ensuring that citizens have the right and ability to influence decisions about their natural resources.